Zirtual is an amazing startup that helps you outsource your life (at least the tedious, time-consuming parts that doesn’t enrich life). A Zirtual Assistant (ZA) can do just about any task that can be completed online or over the phone. If you’re sick of sitting on hold with Verizon or your credit card company, you can simply have your ZA do it for you. If you’re looking for hotels and day trips to book in Galapagos (where I’m going to travel to in July), you can get your ZA Googling for you. At CityPockets and Reclip.It, we did quite a bit of outsourcing through odesk and elance but they were mostly for rudimentary and low touch work like data cleansing, data entry, etc. This on the other hand is a lot more high touch since my ZA should be able to intelligently interpret my requests, respond or call on my behalf, recommend me solutions, help me make travel plans, etc. It really helps me free up my time to do stuff that matters more. All ZAs are vetted and have a criminal background check, so you can trust them with your personal info. 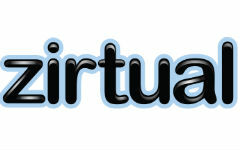 For $197/month, you can delegate unlimited tasks to your dedicated Zirtual virtual assistant, up to 10 hours a month. Tim Ferriss, author of The Four Hour Workweek, has been a long time advocate of outsourcing. I finally had the opportunity to experiment with using a virtual assistant about 5 months ago. I was assigned ALice who lives in Dallas, TX and is wonderful. I’m looking to establish a long-term relationship with my ZA and hope that this is someone who will get to know me intimately and work with me for a number of years. I want her to understand how I work and react or respond to things so that she can help me be more efficient and productive. Sure, there’ll be some investment to train her to do things the way I usually do them at the beginning but I’m willing to put in the time now to reap the benefits later. So far, I’m really liking the relationship and hope to report more in coming months once I get more used to it. Lastly, Zirtual is an invitation-only service where clients help curate the community by spreading the word to people within their network. If you would like an invite, please email Zirtual by clicking here, for immediate access to your own ZA.